Signed Stories is a colorful, interactive site which allows children to enjoy dozens of high quality picture books online. What makes it special is that in addition to narration, music, and images, all stories are accompanied by British Sign Language. 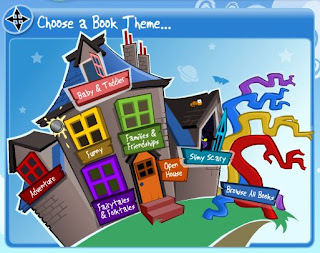 While its home page allows readers to select a story by theme (by choosing a window or door of the house), stories can also be searched and selected by title, age level, or topic. Some stories, in addition to the written text, provide questions and comments by the narrator (indicated by red text in the passage) to guide the reading of the book. For example, in Noah’s Ark the narrator makes reference to the food and animals in the ark, and in Chimp and Zee children answer some of the questions posed in the text. This is similar to the questions and think-alouds employed by storytellers, teachers, librarians, and parents as they share books aloud with children, and is a pretty cool addition which I've not seen in other online renditions. What I particularly love (apart from the fact that this site is free, supported by publishers such as MacMillan, Walker, and Scholastic) is that these stories are "real literature," not simplistic, contrived narratives. Some of my personal favorites on this site include Mr. Wolf's Pancakes , Amazing Grace , Farmer Duck , and Suddenly: A Preston Pig Story . Note two things: One, British Sign Language differs from American Sign Language. But students will still enjoy seeing that many signs naturally match instinctive actions (for example, rubbing the tummy shows hunger, or "yummy." Two, many stories have British spellings which differ slightly from American spellings (for example, favourite rather than favorite). Again, in no way a problem, but instead an opportunity to discuss similarities and differences between two cultures. 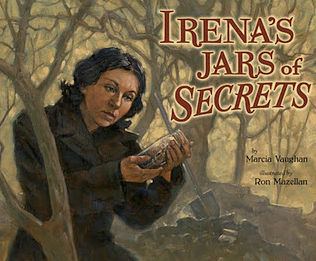 Looking for other online read-alouds? Don't forget the Screen Actors Guild Foundation's superb Storyline Online, which features television and movie stars reading aloud picture books. Another read-aloud site you may not have seen yet is Mrs. P., which features actress Kathy Kinney reading classic children's literature aloud. 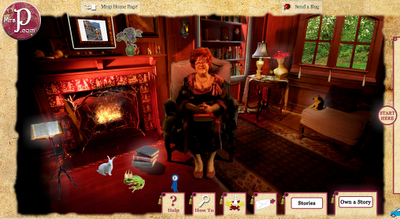 While the Magic Library is quite cool, you may experience trouble viewing on slow connections, so you may wish to access only the videos of the books directly from a list. For a behind-the-scenes overview, use the home page. I know there are still more out there and I look forward to adding them in the future. I added your blog to my blog list a while ago. Keep up the good work! Thanks for the suggestions! Some I hadn't heard of (pardon the grammar). My issue with many of the read-aloud sites is that there is so much advertising clogging up the site that it's difficult to focus on the stories. Plus, some of the stories just aren't worth hearing! I'll have to check these out.